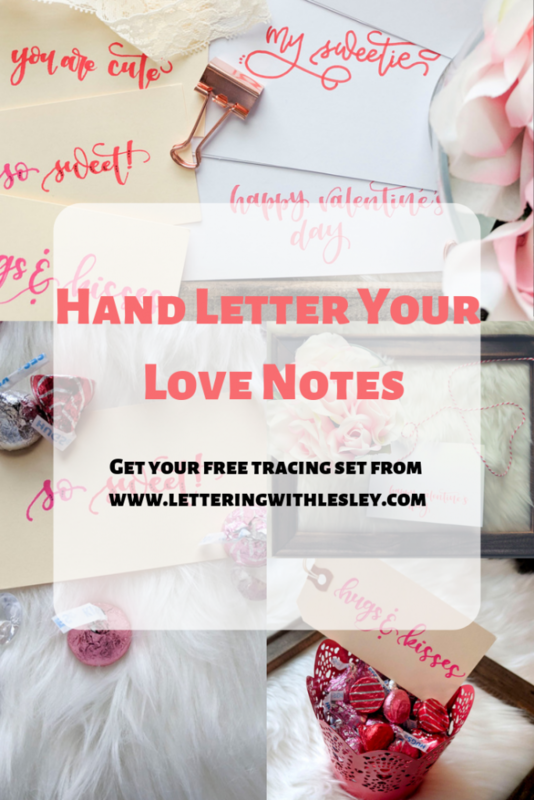 Ready to spread a little love in your life? 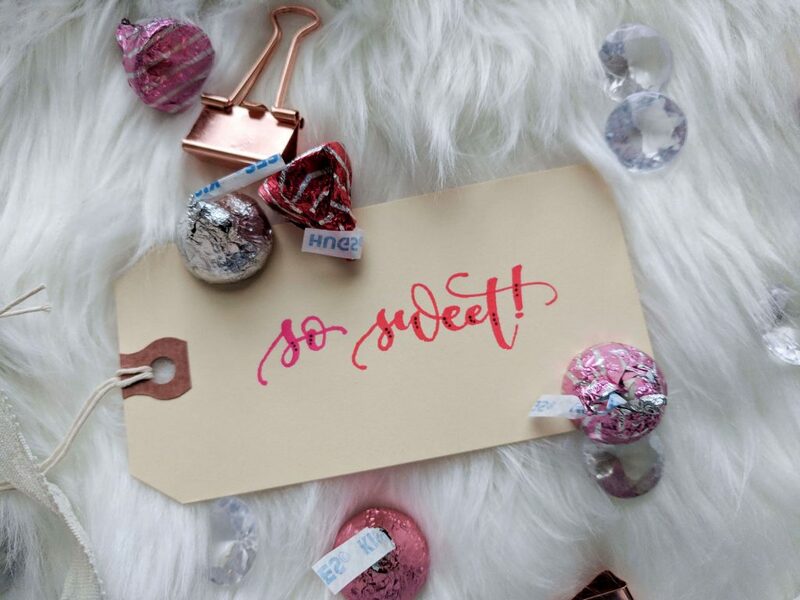 I have the hand lettered helper to get the message of love into the special people in your life! 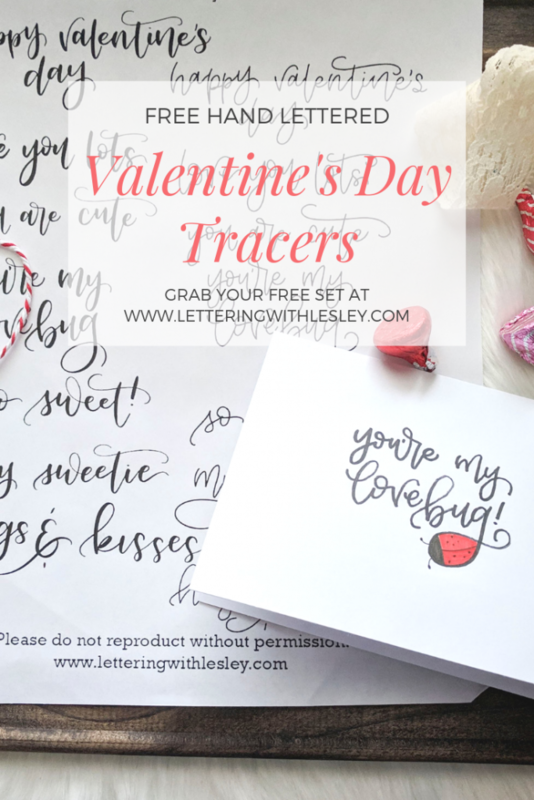 These lettered tracers are the perfect starting place to get started! Here is how you use them! 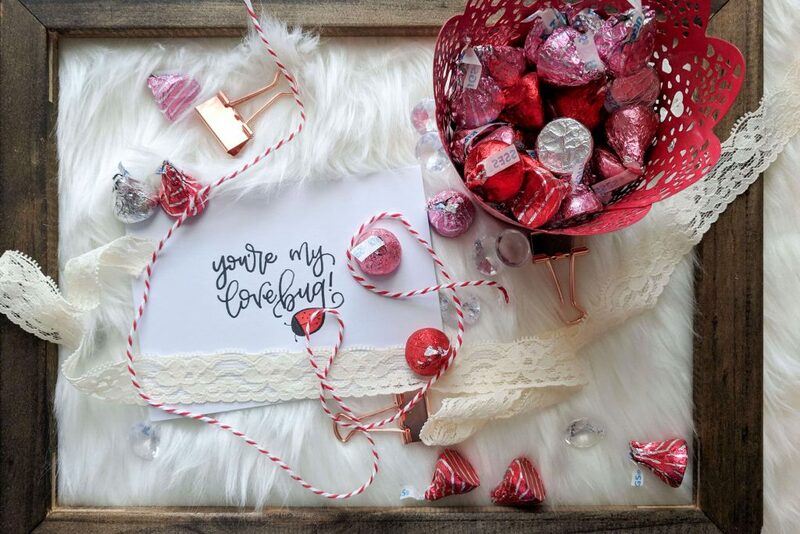 Grab your free printable from the shop and print it out! Then, grab a card, a gift tab, a sheet of vellum, whatever, and your favorite pen. Add your stationary piece over the top of the tracers and copy them. If you can’t see it really clearly, you can use a lightpad or lightbox or a tablet set on a white screen. I like to use my free whiteboard app on my iPad as an easy alternative to a fancier lightpad. 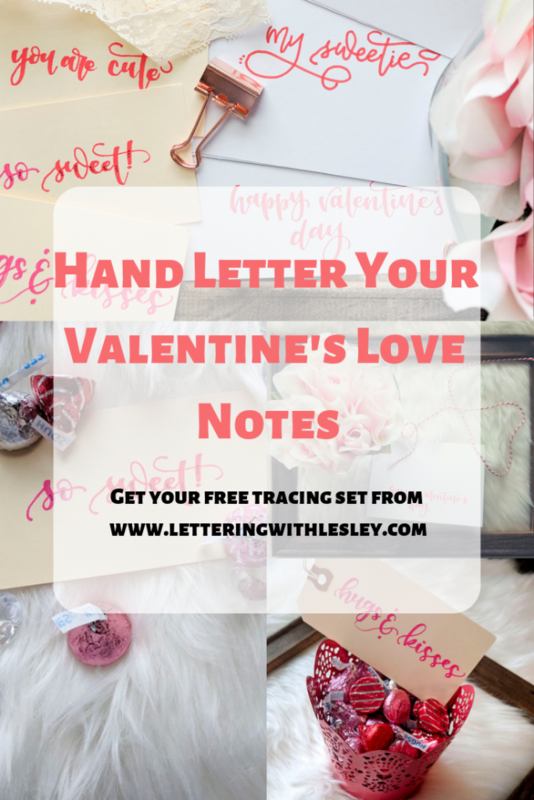 Then, carefully and slowly, trace right over the letters to get your Valentine’s day message! The brush lettered messages (on the left) can be done with any small nibbed pen – I tried them with both my Tombow Fude hard nib and Pentel’s Sign Brush Pen (which is really similar to the soft nib from Tombow). Because they are smaller and going in a small space, it is best to use a small pen. For the monoline side (on the right), I recommend a thicker pen, like the large side of the Tombow Monotwin or the bullet end of the Tombow Dual Brush pen. A little thicker pen gives you forgiveness when it comes to meeting up the letters without having small gaps or going too far. I first tried with the Tombow Drawing Pen (.3 size), which is similar to a Sharpie extra fine or Micron pen, and it just looked a little messy. Adding some extra width to the pen nib covered my errors! 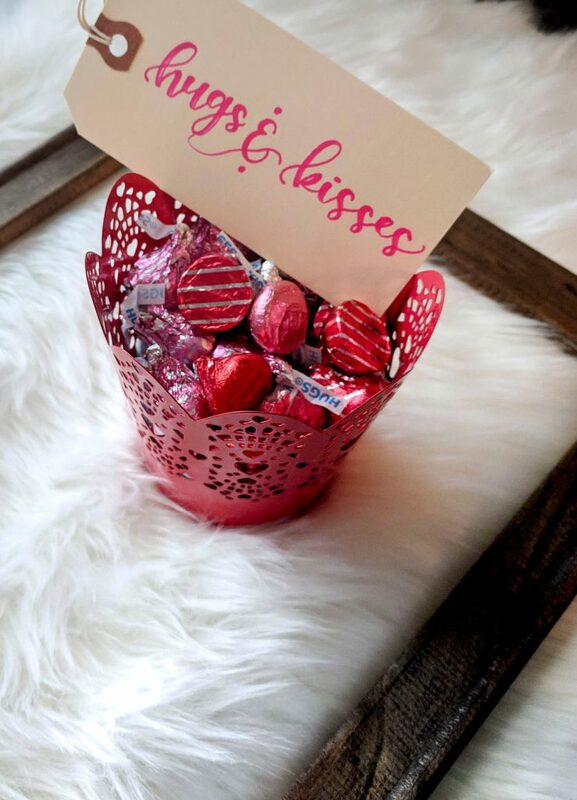 As a totally happy accident, one of my favorite parts of these printables are the flourishes on “lovebug”! If you have taken a class with me, you know that drawing is NOT my jam. I am a letters-only kind of gal. But, these loops on the G are giving me all kinds of options for creating a lady bug! All you have to do is draw a head and split the back into wings. Then, just add a few dots and color it in, and voila! A real drawn-life ladybug! 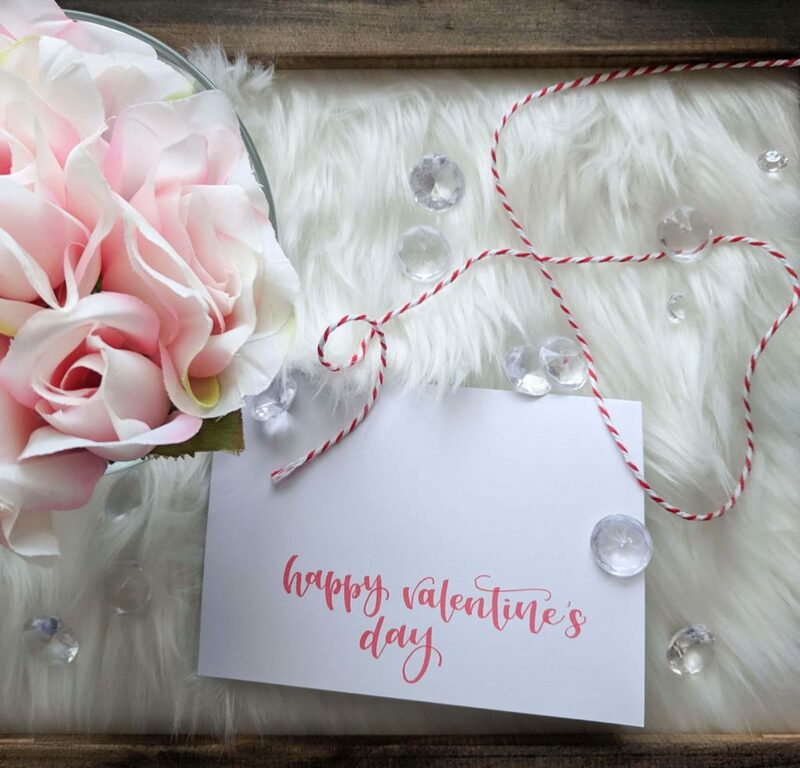 Not in the mood to create Valentine’s Day magic? These are great ways to practice adding flourishes, making connections, and your lettering! 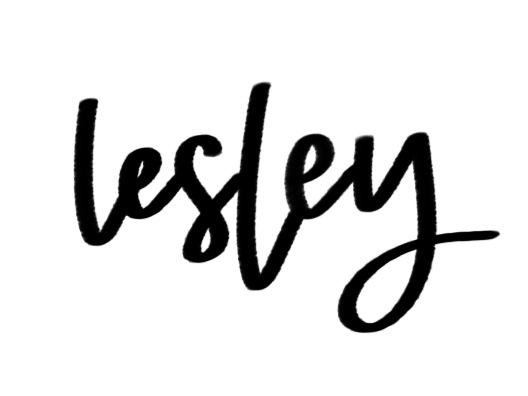 It doesn’t take much, but a little practice a day will turn your lettering from oh to AWWWESOME! 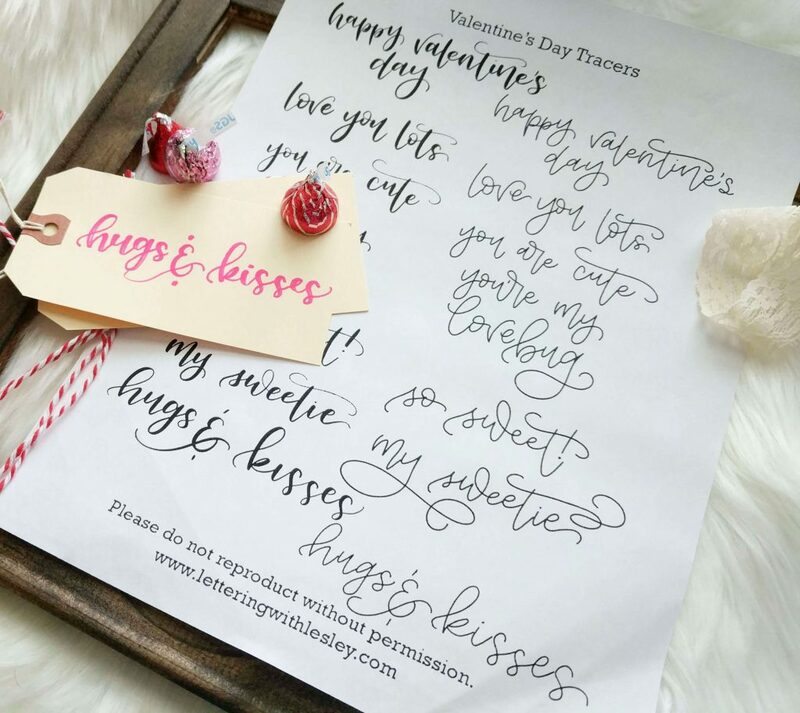 Don’t forget to grab your FREE printable from right here in my shop! 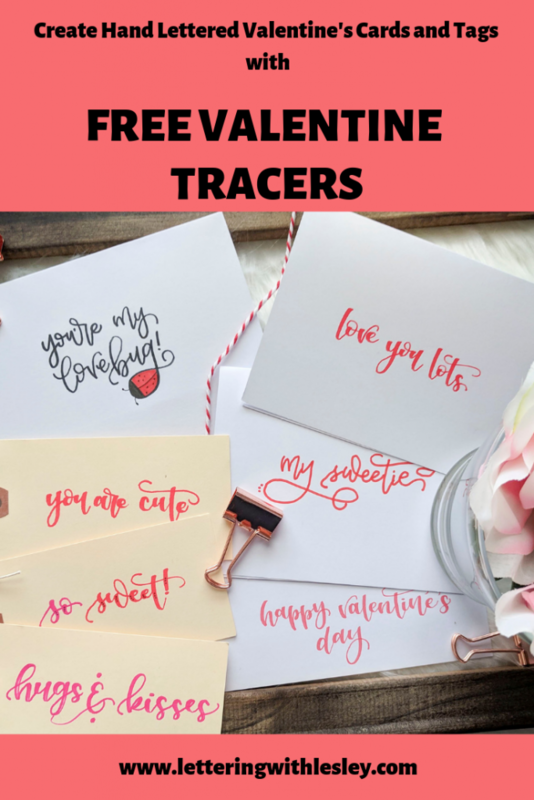 I would love to see you use these Valentine’s Day tracers! Share your projects in progress or finished Valentine’s with me on my Facebook or Instagram page! Be sure to tag me – I would love to feature some of your completed projects!